These DIY Christmas projects require varying amounts of patience and skill, but I can pretty much guarantee that everyone involved will have a good time. Making Christmas ornaments with my kids has always been a tradition in my family. No matter the quality of the ornaments produced, it's always a memorable evening. Now, even though the kids are all grown up and moved out, they still come over for an ornament night each holiday season. I'm also carrying this wonderful tradition on with my grandchildren. I have to admit, there were a few years when we didn't get many usable Christmas ornaments for all of our work, but it was always fun. 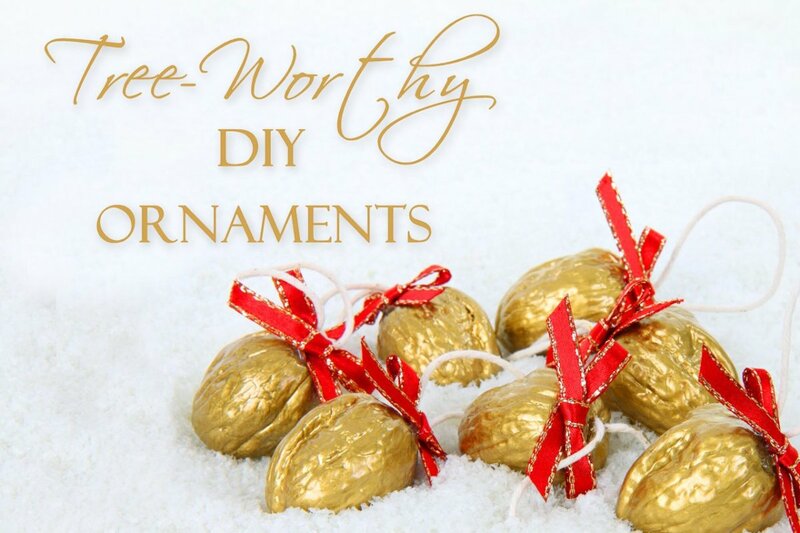 When I look through my box of homemade ornaments, I think the ornaments I've chosen for this tutorial are both beautiful and simple to make. 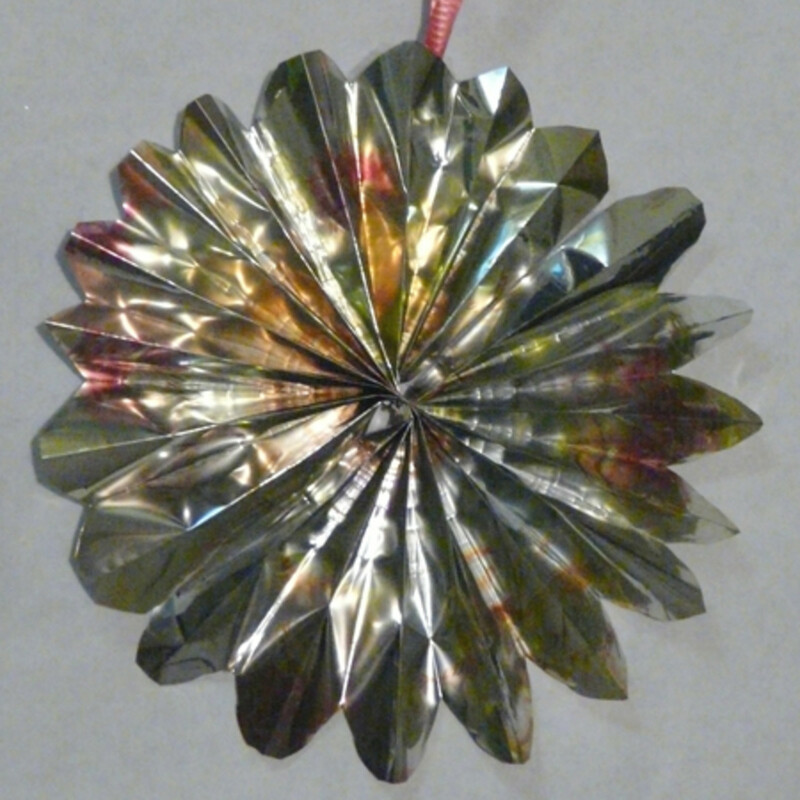 For this easy ornament project I have used metallic wrapping paper to make the fanned paper ornament pictured here. You can use any kind of paper you like. Scrapbook paper that is printed on both sides works well. A small print pattern seems to look best. You can even have the kids decorate the paper they are going to use with crayons or markers. 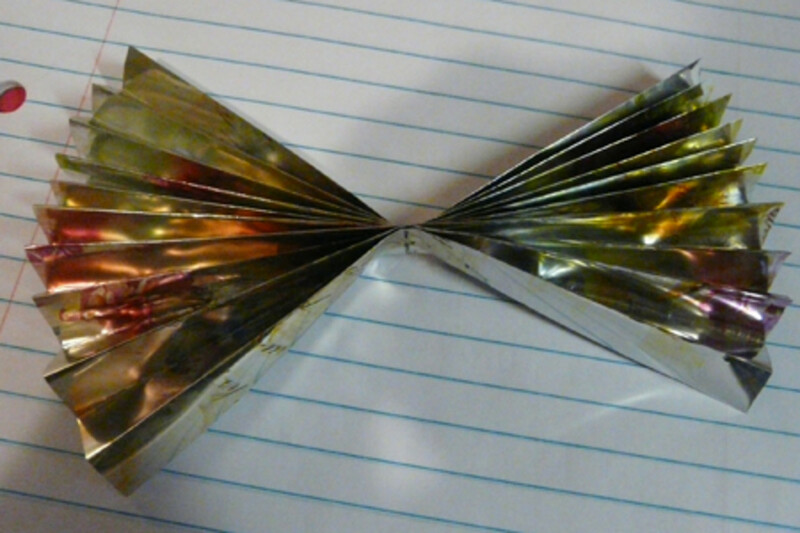 Accordion fold the sheet of paper, then secure the resulting strip at the center. You can staple it or tie it. This circle was made with a sheet that measured 9.5" x 6." The folds are about 1/2 inch and 18 folds seems to be about right. If you are using special paper, I recommend that you try it a couple of times with a plain sheet of paper first, just for practice. Round off the tip of the pleats with scissors on one side. This gives the fanned paper a scalloped effect. Fan the paper out into a circle and tape it in place. Attach your ribbon or cord hanger with tape and it's ready for the tree. Christmas themed printed fabric works well for these, but you can use any kind of fabric you like. I often make Christmas stockings and have fabric scraps left over from them to us for projects like this. Score the Styrofoam ball with the sharp knife. I found a symmetrical pattern to work the best. Cut bits of fabric to cover each area. Make them a little larger than you think they should be; you can always trim a little fabric off if you need to. 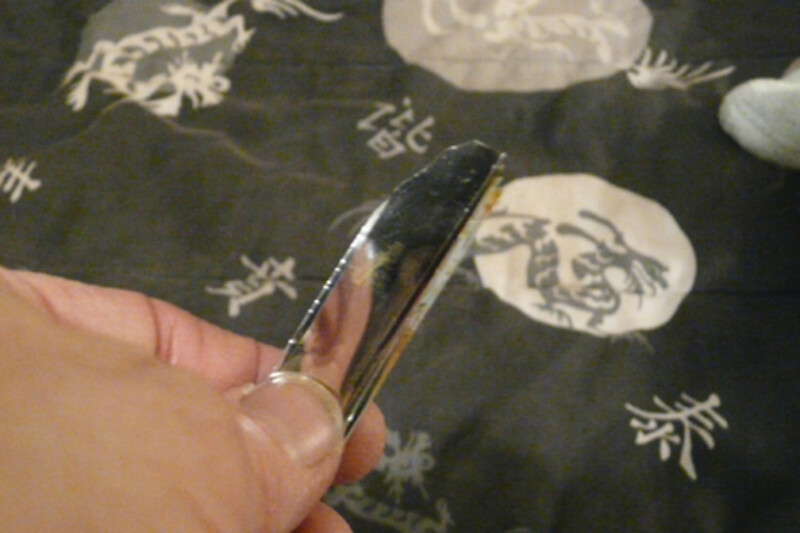 Use the butter knife to tuck the edges of the fabric into the scores you've made. An adult will need to cut the pattern into the balls for young kids. Getting the fabric smooth does take a bit of patience. These ornaments look impressive when they are done though. Cut the paper clip to a u-shaped piece and press it into the top of the Styrofoam ball to hold the hanger. If you dip it into a bit of Gorilla Glue first you won't have to worry about it slipping out. Now you can hang your beautiful quilted ornament with ribbon or a wire ornament hook. 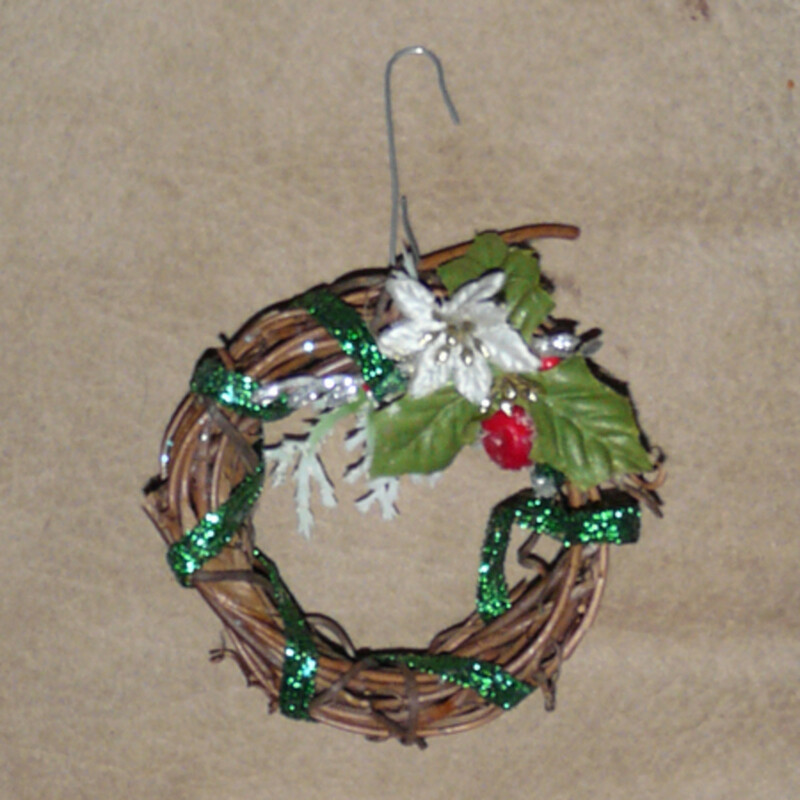 We chose these mini wreaths for our Christmas ornament project several years ago. I bought the little wreaths at a craft store. All we did was glue on a few embellishments. It was very easy to make them look attractive. They looked lovely on the Christmas tree. 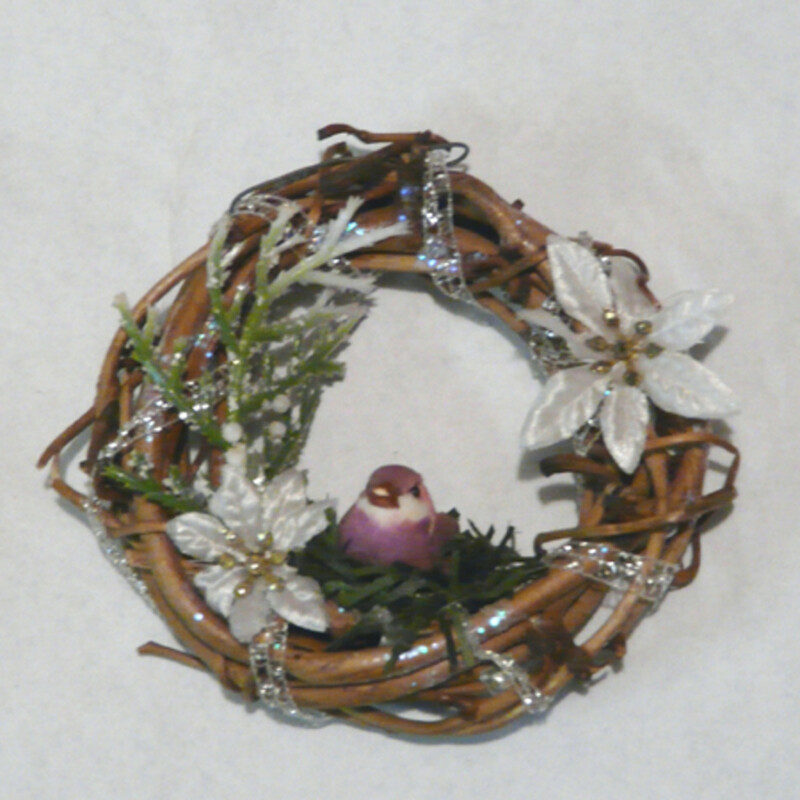 These are so easy to make since the wreath itself is already made. You can get them at Ben Franklin's, Michael's, or any craft store. Miniature birds, angels, wooden nutcracker soldiers etc. Since the wreaths are already made, all you have to do is add the decorations. 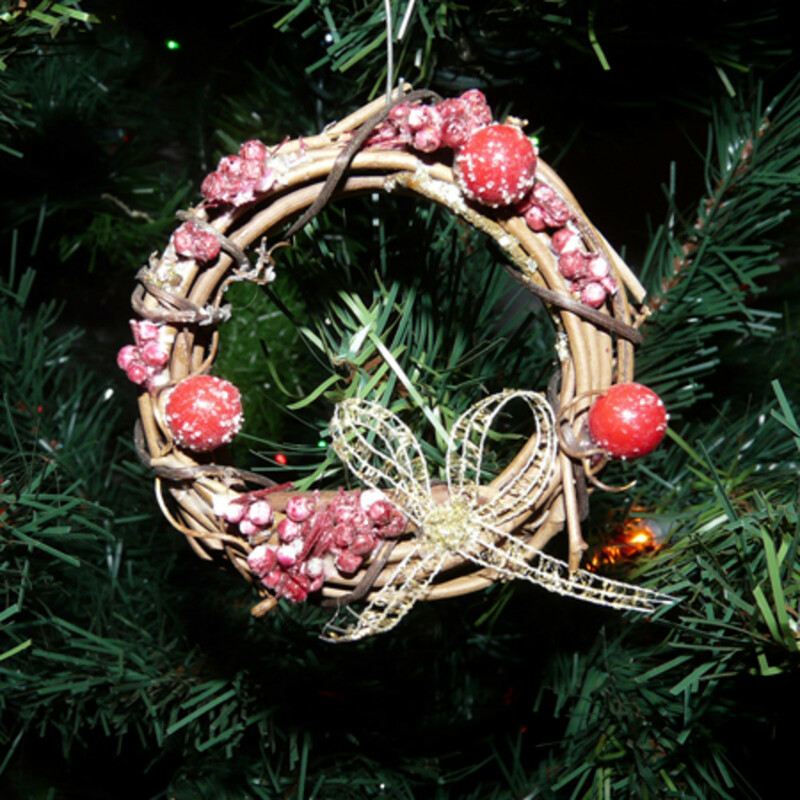 Simply glue them onto the wreath with your hot glue gun. With these wreaths, less is more. Don't overload them or they will become too cluttered and heavy. 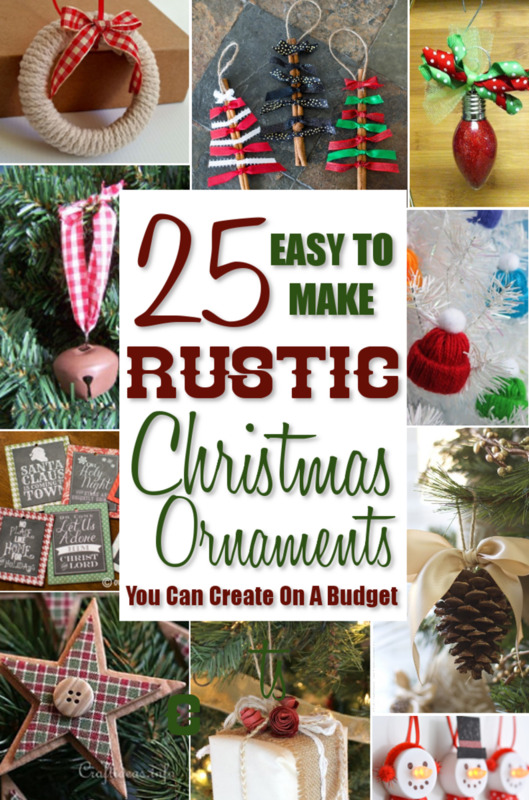 You can add a wire or ribbon hanger if desired, but I usually just nestle mine among the Christmas tree branches. Which ornament would you be more likely to make? 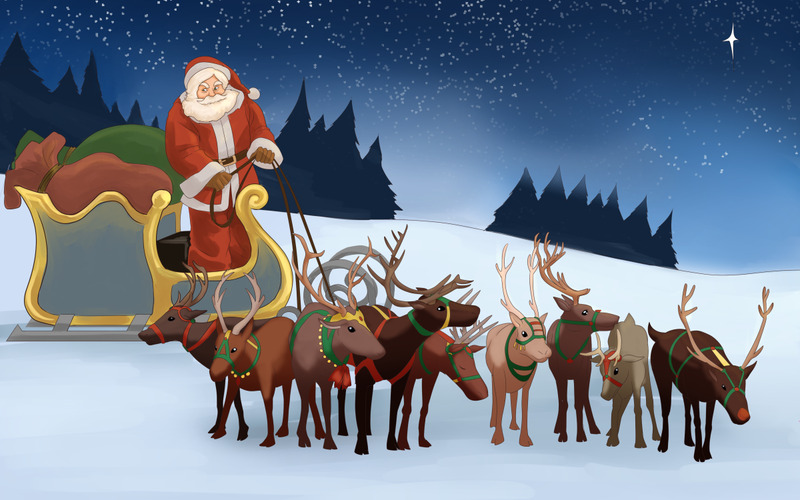 I hope you take the time to enjoy the Christmas season and spend time with the people you love. Sharing an activity, like making Christmas ornaments, is an excellent way to bring people together and make memories you will always treasure. Anamika S - I love those ornaments kids make at school. Buying ornaments is certainly easier. So nice! You just reminded me of my school times. I use to make stuff like these then. But now I just prefer to buy it. I remember making Christmas ornaments with my kids when they were young. It was so much fun! You've brought back memories. Wish I'd seen these ornaments then, they are so pretty! A very pretty way to make memories. These are keepsakes that always bring back the feeling of a special shared time. It's not the things we keep-- it's the memories we make together that are most important. Thank you Peggy W, it's so nice to get an off-season visit. I grew up in a family that made homemade Christmas ornaments. We mixed them with others and the memories of making them as a family remains special to this day. I like yours...especially the quilted ball. Nice way to use up scraps of fabric. Up and useful votes. Thanks for stopping by, I bet those Hawaiian ornaments are special. I love the ornaments. 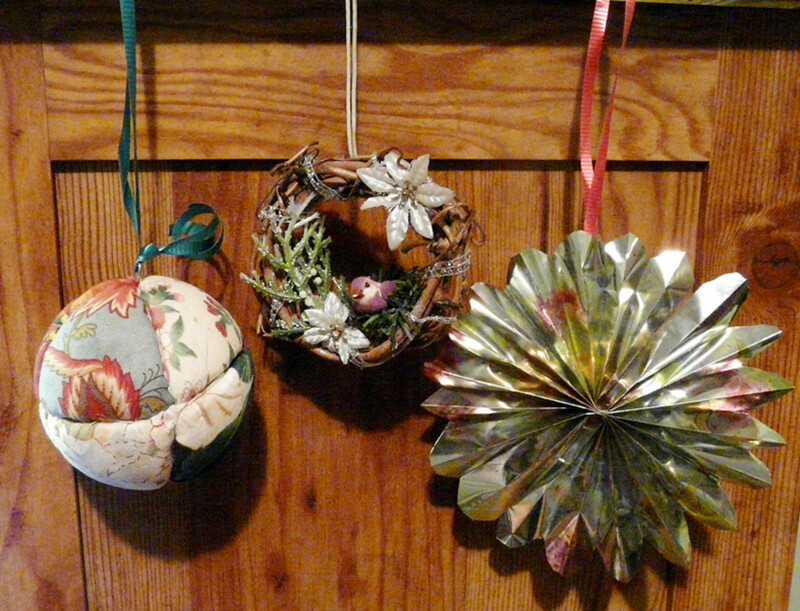 Back home in Hawaii, there are a lot of crafty people that make home made ornaments. When I moved here to Nevada, I didn't see much craft fairs or a lot of homemakers. So it's interesting to learn how to make unique home made ornaments. It's unique and is lasts forever. Hi Denise, My grown daughters and I had a blast painting tiny gourds and starfish, this year. We produced some really unique ornaments. I like to use my homemade ornaments for stocking stuffers. I bet your daughter's teachers loved their gifts. Thanks for visiting, voting and sharing. 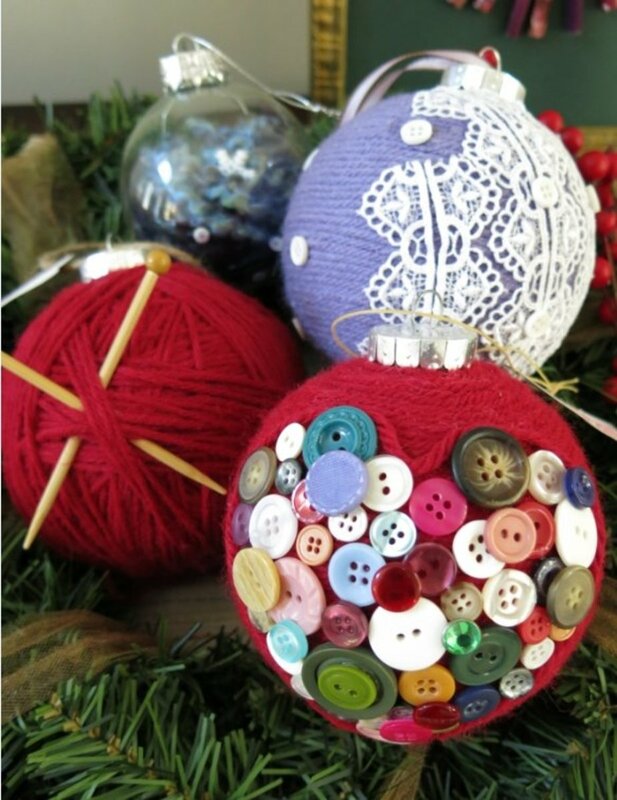 I love,love, love making homemade ornaments,especially when they are as lovely as these are. My oldest granddaughter, Olivia, has made homemade ornaments by painting winter scenes onto plastic ornaments. She gave them to her teachers as Christmas gifts. UP/A/U/I sharing. I like easy stuff too. Some crafts are too much like work. Thanks very much for visiting and commenting slackermom. Very cute. I love crafts that are cheap and easy. These seem to be a cinch for even a slacker like myself. Great hub. Thanks Cathy Fidelibus, have fun with them. I love all three and plan on making them. Thanks! Fabulous Deborah, You are very welcome. 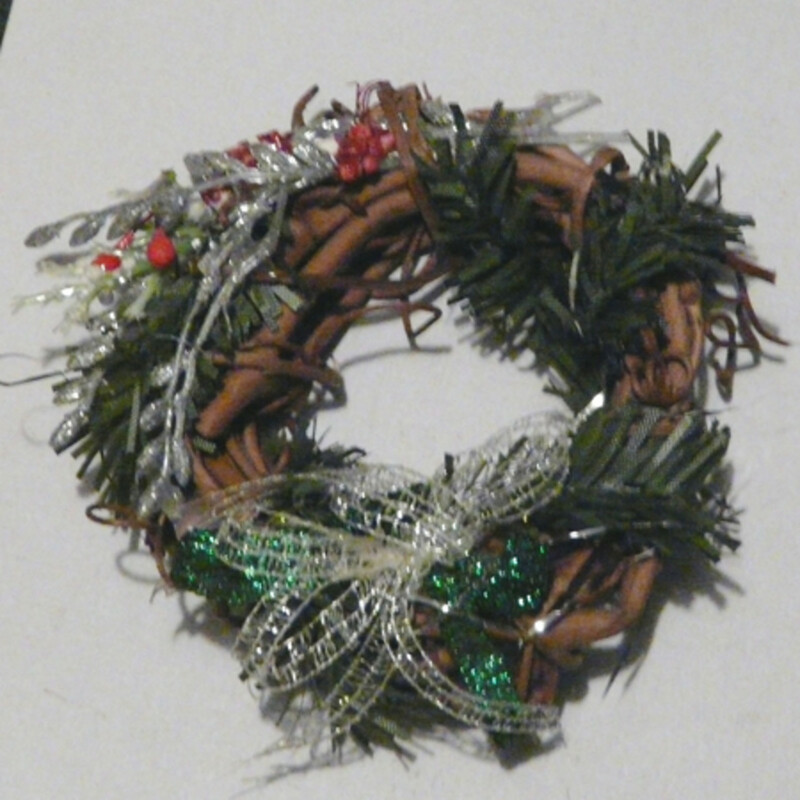 Sherry, just stopping back to say that I did go with the mini wreath as my craft project this year. It was a huge hit! Everyone loved them. Thanks again for the idea. I love these. 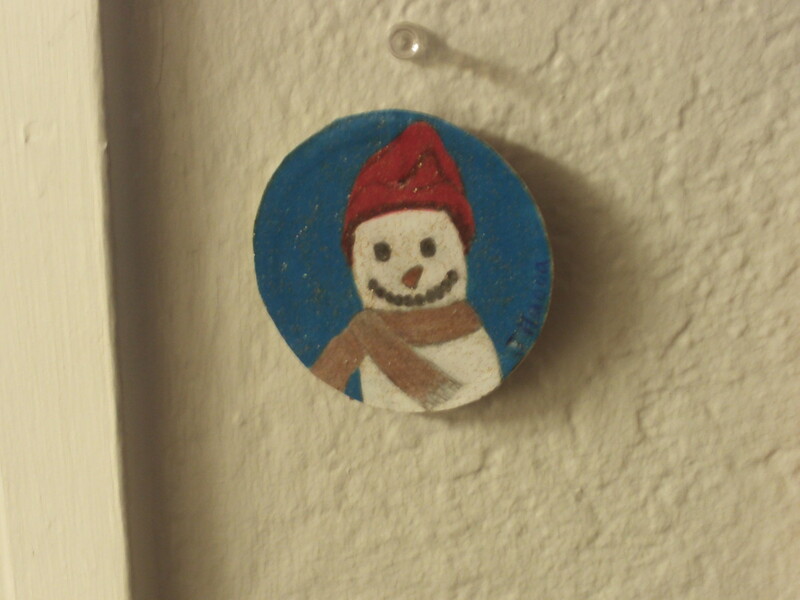 I've made homemade ornaments years ago in art class and I always enjoyed it. I was thinking about making some for this year so I'll have to give these a try. The little wreaths are amazing. Oh, you flatter me FullOfLoveSites. Thanks for your visit and your lovely comment. Thanks for reading Robie Benve. If you haven't seen it yet you might look at my other hub, How to Make Cute, Easy Clothespin Reindeer Ornaments. It's super easy to do with kids. Have fun! I am pleased to be the inspiration for this year's project. Thanks for the visit Deborah. I am looking for a new craft project for the annual Craft Day that I have with my sister and sisters-in-law. These are perfect! I think I'll adopt the mini wreath as my project this year. Thanks for the ideas! Thanks for voting and sharing mary615. Ornaments that bring memories of Christmases past are the best kind. My children and I made beautiful Christmas ornaments, and every year, I tenderly remove them from their resting place and put them on the tree. I love your idea, especially the quilted one. They're not very hard at all VeronicaFarkas. A friend showed me that one, I'm glad you like it. Thanks for commenting Anil and Honey. 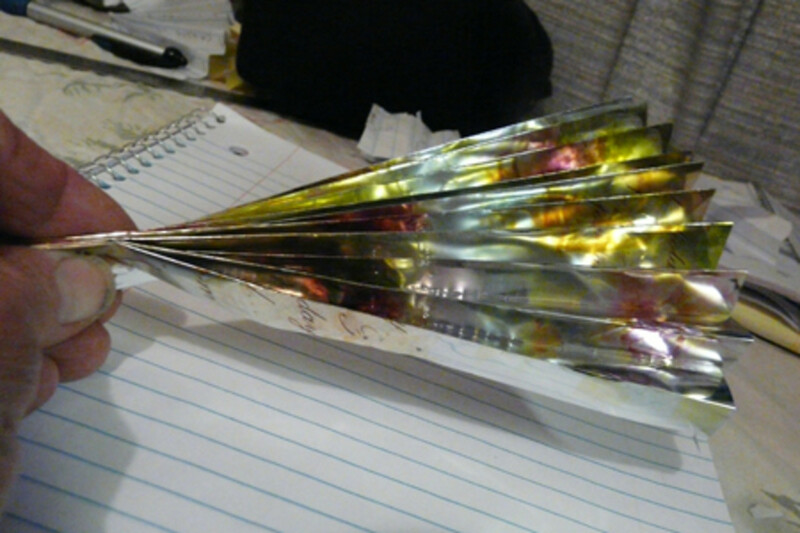 The paper fan circles are practically free. The quilted balls are low cost if you can find the styrofoam balls cheap. Sometimes you can get a pack of them at the dollar store. The materials for mini-wreaths cost me a little more. I love those mini wreaths, very adorable. A wonderful hub packed with easy crafty ideas which definitely come in handy for many as Christmas is just one month away. I found your fanned paper circle and quilted ball vibrant and cute but I am partial to your pretty mini-wreaths, particularly the last one with the little pink bird and silverish-white flowers. Nice to know that you did these crafts with your family. Way to go! I will show this detailed hub of yours to my cousin-sister who owned a mini-Christmas tree and would like to add more ornaments to it. Pinned your hub for future reference. creative. great stuff here. My daughter and I do plastic bead ornaments that you iron and baked clay also. These are great ideas I'll try. Each Christmas my family creates one new ornament for our tree. Some years we are silly, some years we are more creative. I like your wreath idea. I'll suggest it to my family. Thanks for the idea. 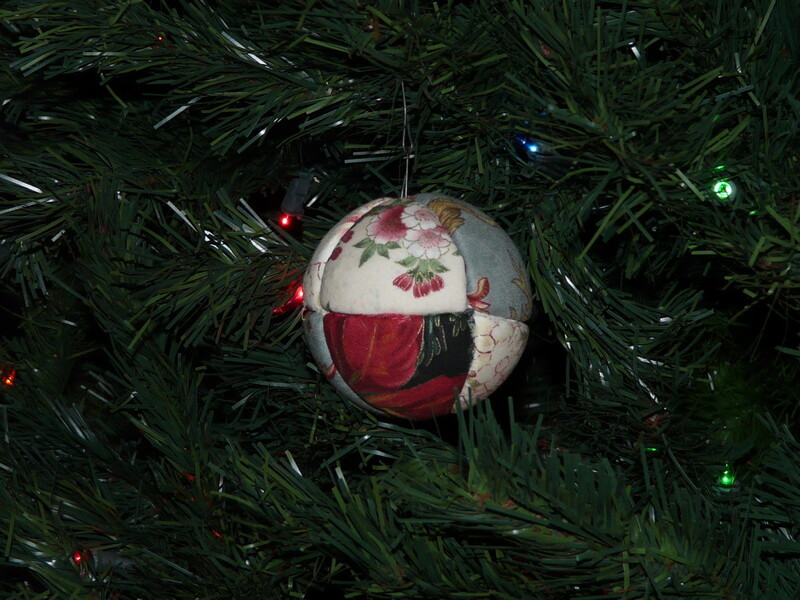 midget38: Family time is what it's about, the ornaments are just a by product. Thank you so much for sharing. duffsmom and rebeccamealey thank you for reading my hub and taking the time to comment on it. Great ideas here, Sherry. I like them! And something we can do together as a family too. I share this great hub! These are really pretty and look very easy to make! Fun ideas, can't wait to try them with my grand kids. This is a great Hub with easy-to-follow instructions. Well done! I love these ideas. I especially like the fanned paper circles. I think I'll have to try making some of those with my daughter. Thanks for sharing! I love simple crafts and I define simple by whether I could actually do them....these fit that criteria. :) Great ideas, Sherry!